More than a decade ago my friends and I were partying away on Holi and I tried Bhaang (edible cannabis) for the first and last time. I had the scariest trip on Bhaang and I have no intention of consuming it in any way, shape or form ever again! Thandai is a traditional creamy-milky-sugary drink from India and people usually spike Thandai with Bhaang and drink copious amounts on Holi. Om Namah Shivaya! If you are looking for a healthier, cleaner Thandai option then look no further and this one is safe for kids too. The only thing cannabis in this drink is hemp and I promise it won't send you crazy. On the contrary, hemp is a popular super-food and is a rich source of plant based protein. Make sure you use a powerful blender. Throw in all the ingredients in the blender and blitz until you get a rich-creamy-smooth-golden consistency. Let this chill for at least an hour. 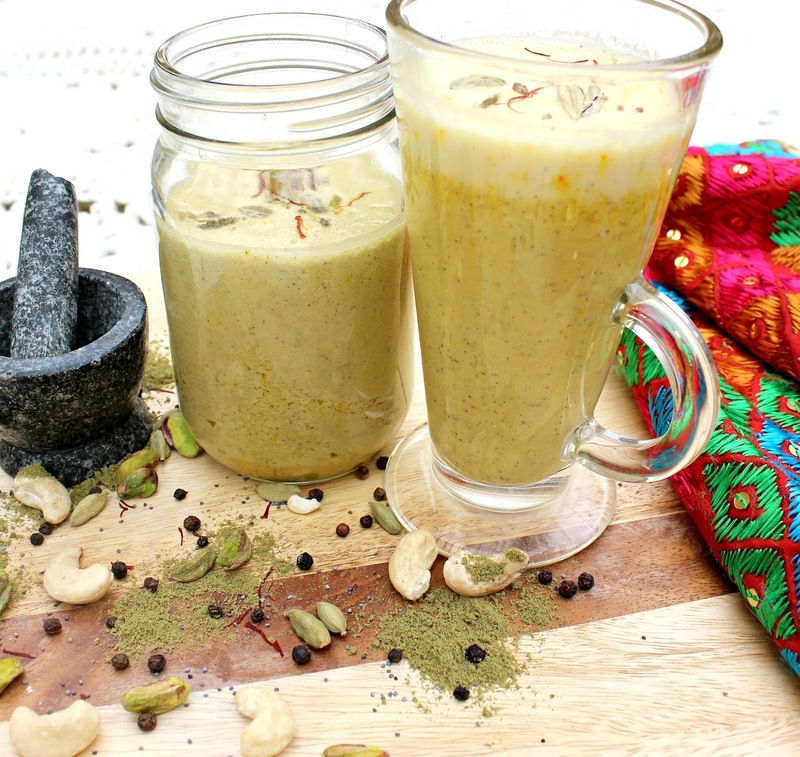 Give it a good shake before serving and to make it look all pretty garnish with cardamom, pistachio, saffron, spice mix whatever you fancy! This tastes very authentic and is a perfect drink of choice for a clean Holi. 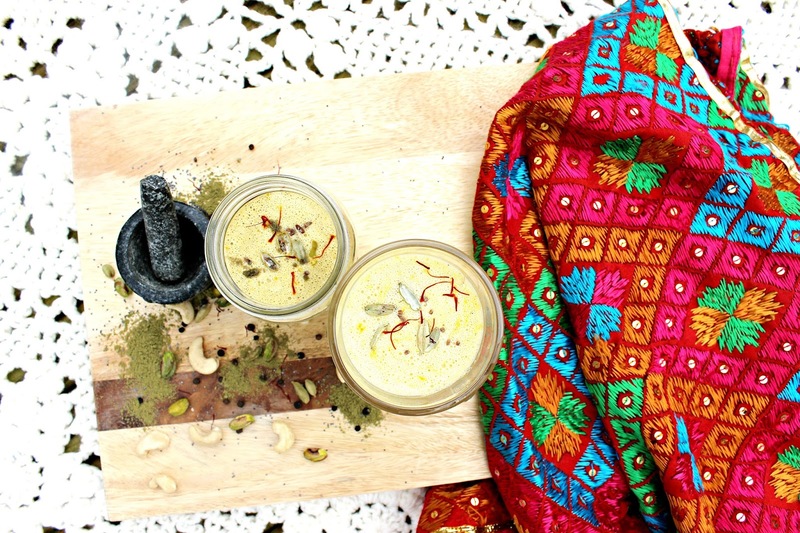 This Thandai is vegan, gluten free and refined sugar free. Poppy seeds are meant to keep you cool & calm as it gets hotter & hotter in India. Winner!